Huntington Beach is a beautiful seaside resort in Southern California and like anything else on the seaside things are expensive, including car maintenance and repair. You won’t encounter this dilemma with Mighty Towing Huntington Beach because we go out of our way to provide you with the best car emergency services at the most affordable prices. When you expect to pay a lot of for other services in the Huntington Beach area you can always count on us to be less expensive without sacrificing high quality service. The quality of the services we provide is outstanding and with us you are always getting more for less. Everybody wants cheap prices on everything they buy these days. Normally if you want cheap prices you have to keep a keen eye on the quality of what you’re getting. When you call us you are not only getting less expensive prices; you are getting outstanding quality service. Our prices cannot be beat. Expense should not be the first thing on your mind when you call Mighty Towing because you will see no surprises when you get the bill. Our prices are fair, honest, and inexpensive. We are “Johnny on the spot.” That means we are first on the scene and within 30 minutes of your call. You can rest easy and rely on us when you call us. We are always there. 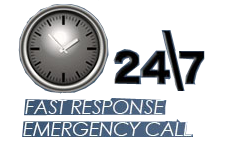 You can call us 24/7 and we will be there to assist you. We are always open for business. Excellence in customer service is one of our top priorities. Good customer service is both a goal and a promise of us. We have a reputation to uphold. Mighty Towing has serviced the Huntington Beach area for many years.